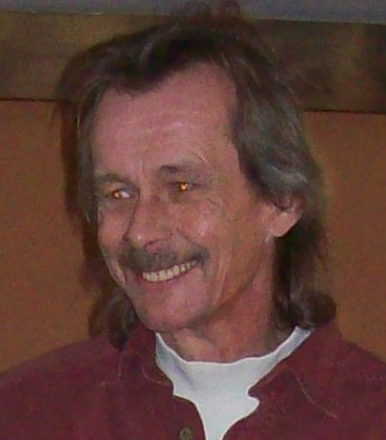 Mark William DeGodt, 63, of Sturgeon Bay died peacefully with his family at his side. He was born to Clarence and Lenore (Sperber) DeGodt in Two Rivers, Wisconsin. He spent some of his childhood in Sturgeon Bay and some in Two Rivers, graduating from Manitowoc Lutheran High School. Mark had many jobs over the years, including sales and carpentry, but most recently owned and operated a painting contracting business. You can see much of his work as you travel through Door County. He was a perfectionist whose work was sought after. Mark was preceded in death by his parents and one brother, David. He is survived by his loving sister, Betty; nephews, Dan (Jodi), Dave (Seana); niece, Kelle (Jeff); five great nieces, Kelsi (Devin), Kayla (Mike), Karissa (Louie), Allyson, and Mallory; and seven great-great nephews, Graham, Deacon, Bryan, Leo, Eryk, Quinn, and Axel. Other survivors include Dan Kanera, and Rick, Rand, and Reed Martin and their families. He is also survived by many special family members and friends whom he loved very much. Cremation has already taken place. A celebration of life will be held at 12 pm on Saturday, June 29, at Forbes Funeral Home in Sturgeon Bay. Visitation will take place at the funeral home from 10 am until the time of services. Mark’s final wishes are for everyone to be good to people, help people and enjoy every day.